Kids Scooter Just $31.95! Down From $130! PLUS FREE Shipping! You are here: Home / Great Deals / Amazon Deals / Kids Scooter Just $31.95! Down From $130! PLUS FREE Shipping! 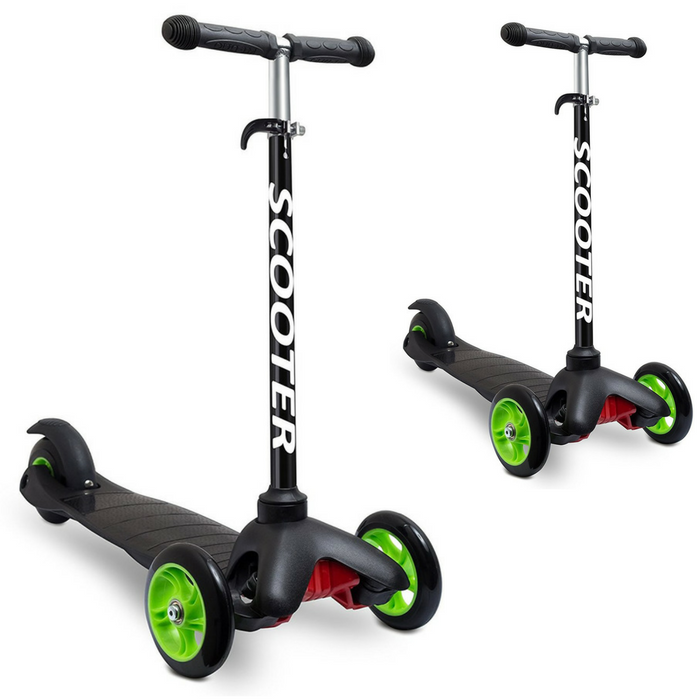 Head over to Amazon to score this Kids Scooter for just $31.95 down from $129.95 PLUS FREE shipping! Zip around the neighborhood in style with this 3 wheel kick scooter by Den Haven. Constructed of metal and durable nylon composites our kick scooter is the same quality build as brands costing far more. This unique 3 wheel design gives the kick scooter both added stability and safety. No need for a kick stand or for unbalanced riding. Wide deck and 3 wheel design make riding fun and easy for kids of any skill level. Simply hop on and start scooting. Quality PU wheels are both smooth and quiet and high quality bearings reduce vibration and make a smoother ride. DURABLE ALUMINUM FRAME: Built to last, our kick scooter is made with a high quality aluminum frame, carbon steel alloy & adjustable T locking handle bar. Handles also feature comfort grip pads. Built to handle the bumps our kids scooter is guaranteed to last for years of enjoyment.